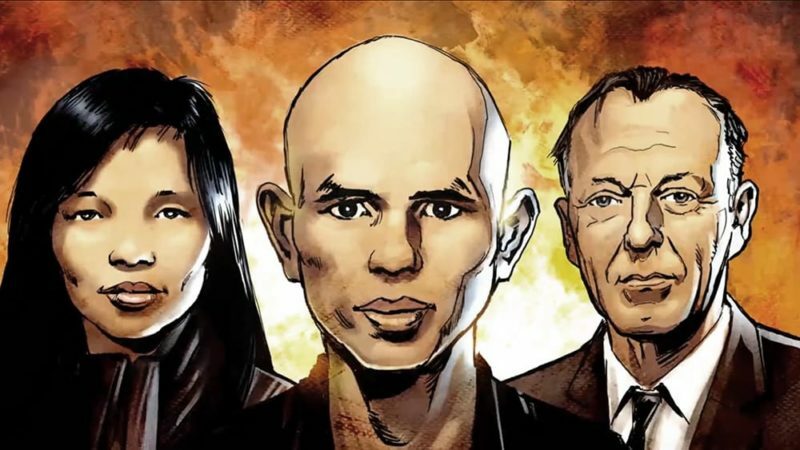 Look inside the comic book celebrating nonviolent heroes Thich Nhat Hanh, Alfred Hassler, and Sister Chan Khong. After the Dalai Lama, Thich Nhat Hanh is probably the most famous Buddhist teacher of our time. But what’s this? He’s a superhero now? Well, not quite. 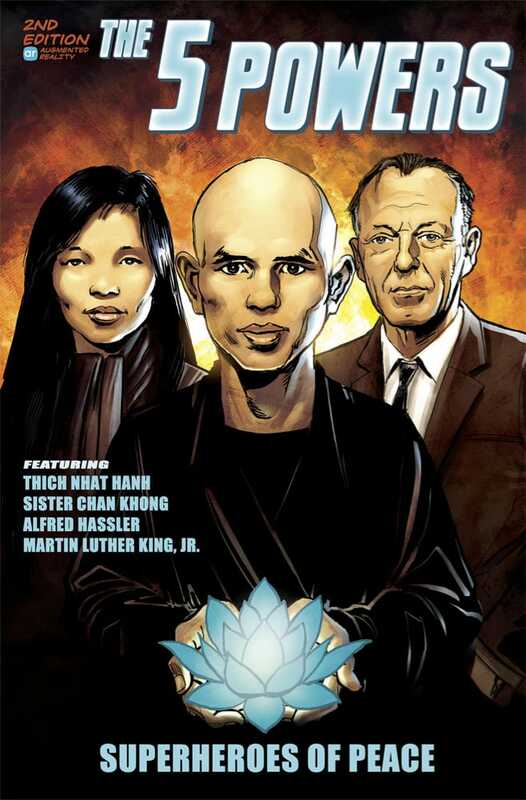 But Thich Nhat Hanh, or Thay, as he is affectionately known, is most definitely a hero for peace, as is his closest collaborator, Sister Chan Khong, and the late antiwar activist and guiding figure of the Fellowship of Reconciliation (FOR), Alfred Hassler. The three star together in The Secret of the 5 Powers. 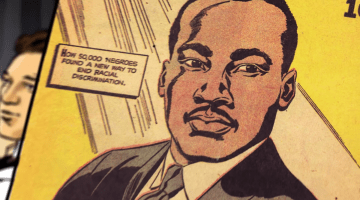 In 1956, Hassler even published a comic book himself, called Martin Luther King and The Montgomery Story. When Hassler’s daughter Laura showed it to Gregory Kennedy-Salemi, then a worker/volunteer at the FOR, Gregory saw the power of the medium. Bid on a signed and numbered copy of “The Secret of the 5 Powers” in the Lion’s Roar Online Auction. “I had no background in comics,” he told me. “But when I met Laura, I discovered that Alfred and Thay had been highly creative, ahead of their time. 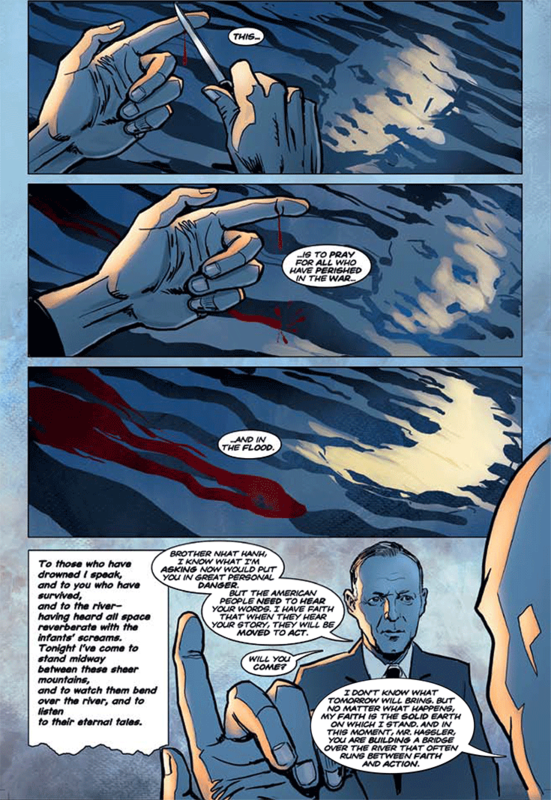 Then I learned the comic’s story, that it was still being used today.” In fact, an Arab translation, with its emphasis on nonviolent protest, has been cited as an inspiration for the Egyptian revolution of 2011. 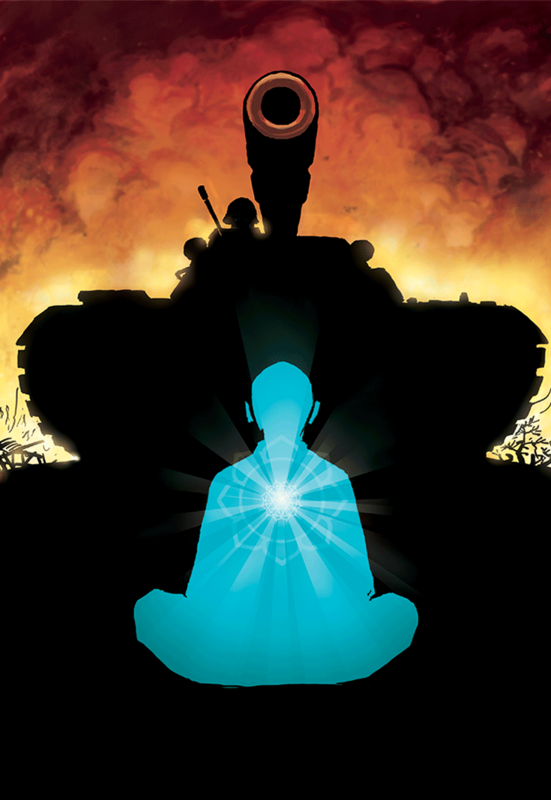 In our exclusive excerpt from The Secret of the 5 Powers, the Peace Comics team offers two rare looks at the young Buddhist activist Thich Nhat Hanh. 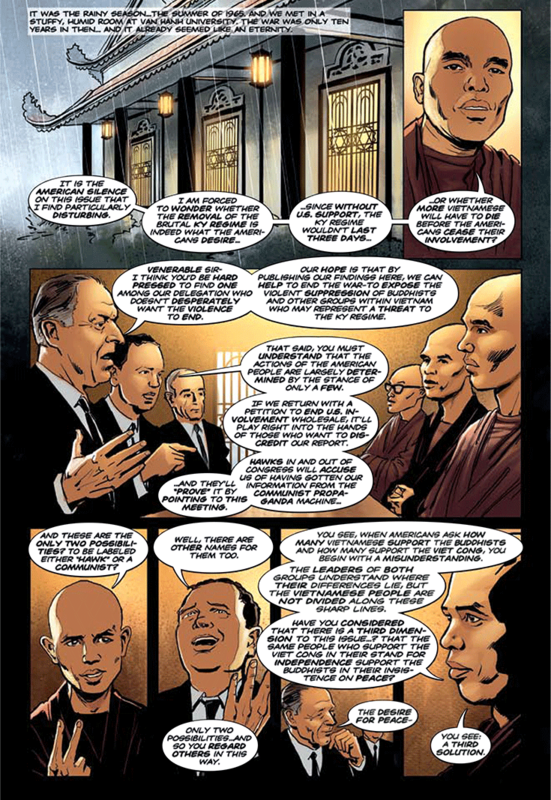 First, we sit in on a real meeting, held as U.S. involvement in Vietnam was escalating rapidly, between Thich Nhat Hanh and a delegation of American pacifists led by Hassler. This is their first encounter in what became a lifelong friendship. 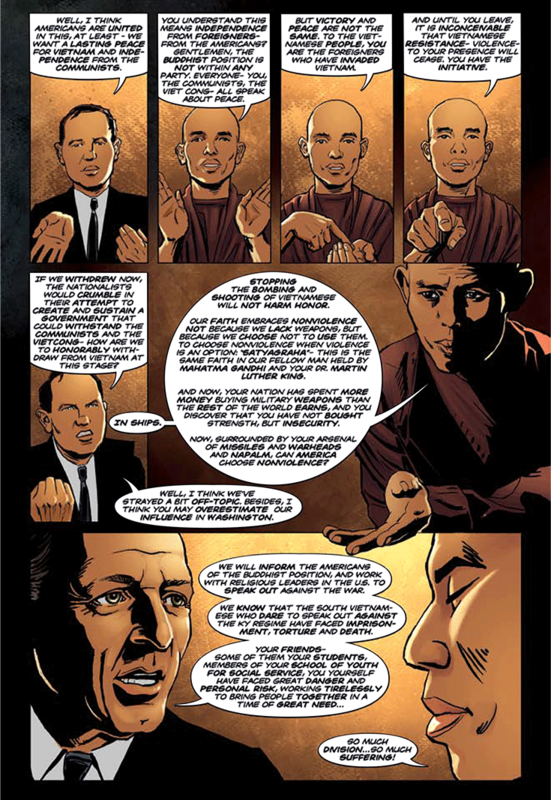 According to Kennedy-Salemi, whose team prizes research, the dialogue in this scene is “about 80 or 90 percent verbatim.” We see that Thay’s articulation of how and why nonviolence must be employed is already diplomatic, firm, and persuasive. 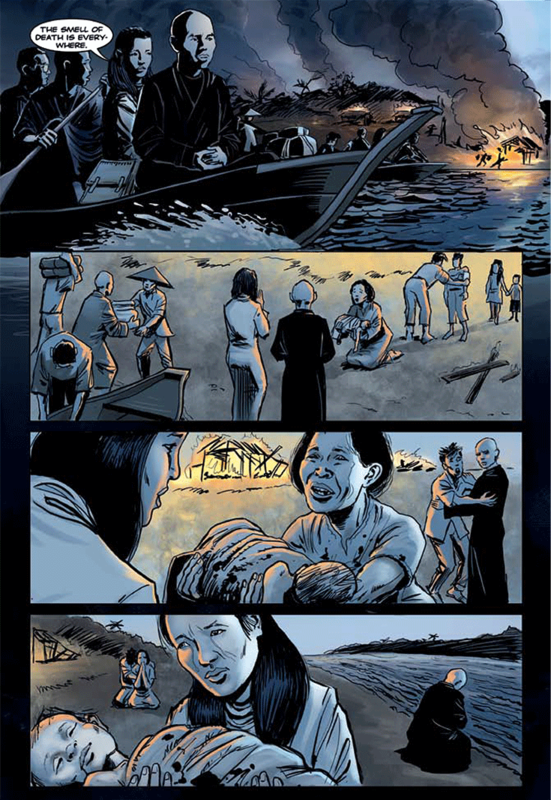 Next, the scene flashes back one year to a famous and formative scene in which Nhat Hanh and his compatriots, including Sister Chan Khong, are face to face with war’s horrors. There is gunfire all around as they travel upriver delivering supplies to desperate refugees. It’s an impossible, intimate moment, emblematic of the commitment to peace that Thich Nhat Hanh, Sister Chan Khong, and Alfred Hassler would come to embody. 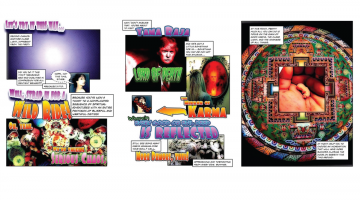 Buy a copy of “The Secret of the 5 Powers” in the Lion’s Roar Auction, running from November 24 to December 6. What if Wolverine attained enlightenment?